Phillip Abbosh, MD, PhD, assistant professor in the Molecular Therapeutics Program at Fox Chase Cancer Center and a graduate of Fox Chase’s Society of Urologic Oncology Fellowship Program, was presented with an award for his bladder cancer research at the Annual Meeting of the American Urological Association in Boston in May. Abbosh presented his research during the “Bladder Cancer: Basic Research and Pathophysiology IV” session, and won “Best Poster” out of the other 20 in the session. Abbosh presented a project demonstrating that response to neoadjuvant chemotherapy may involve the immune system in localized muscle-invasive bladder cancer patients. Dr. Abbosh led a research team from Fox Chase and collaborating institutions searching for evidence that chemotherapy may activate the immune system to eradicate bladder cancer. Abbosh and team performed whole exome sequencing and gene expression analyses on tumors from patients in two independent cohorts who underwent cisplatin-based neoadjuvant chemotherapy to arrive at these conclusions. The team is now working on subsequent studies to find more definitive evidence that chemotherapy causes the immune system to recognize and destroy bladder cancers. These findings may eventually make it possible to develop better combined immunotherapy/chemotherapy treatment regimens. 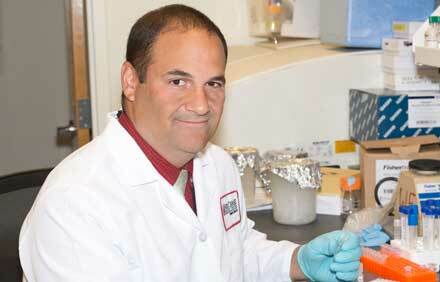 Read more about Dr. Abbosh’s bladder cancer research.